Have you tried the 4 minute Random Act of Kindness Challenge? Jim Holsomback attended The University of Rochester and graduated with a B.A. in Psychology focusing on Child and Adolescent Studies. He completed his MA graduate coursework at Tufts University. Following his training, Jim served in the Division of Child and Adolescent Services at McLean Hospital, where he has worked for more than 20 years. During his tenure at McLean, Jim has held positions of The Director of Adolescent Educational Services and the Coordinator of Adolescent and Young Adult Placement Services. He also serves as the Program Director at Triad Adolescent Services in Lexington, Massachusetts. Much like many awareness days, World Kindness Day (November 13th) and National Random Acts of Kindness Day (February 17th) were designed to bring focus to an issue that often is neglected in day-to-day life. However, unlike national and world awareness days, it is baffling to consider there is such a lack of kindness that we need to mark a day to celebrate something that is genetically encoded in each of us. Since National Random Acts of Kindness Day is almost upon us, we wanted to take the opportunity to explore why kindness is such an integral part of the human experience and challenge people to spread awareness and engage in the kindness challenge…..more on that toward the end. Kindness, compassion and gratitude are three of the most impactful, least pharmacological interventions that guarantee a positive effect on our neurological functioning and emotions. We have an enormous breadth of research on how and why kindness has the capacity to not only positively alter the mood of others and also has a drastic impact on the person that initiates an act of kindness toward another. Providing an act of kindness can be one of the most selfishly satisfying acts a person could provide in that it increases dopamine levels, produces oxytocin, a hormone that aids in expanding blood vessels and lowering blood pressure and helps us feel more connected to not only the recipient of the kind act, but more connected to humankind in general. Not only do the receiver and giver of kindness benefit, folks who witness the act of kindness actually benefit as well, helping them experience similar effects and increasing their capacity to engage in acts of kindness too. Adults benefit through taking themselves out of the vicissitudes of the daily “I must get this or that done way of life” and think unselfishly of others. The prevalence of depression and anxiety in adults continues to increase where loneliness and isolation have become cultural norms rather than connectedness and kindness. Think acts and benefits of kindness are limited to adults? Adolescents, often mislabeled as self-serving in their thoughts and actions, are enormous beneficiaries when practicing kind acts, particularly with strangers. While the prevalence of depression and anxiety continues to increase with adolescents at a rate higher than any other age group, kindness has shown to decrease levels of depression while simultaneously increasing compassion for others as well as self-compassion. Even children’s programming such as Sesame Street has started engaging in the kindness game. 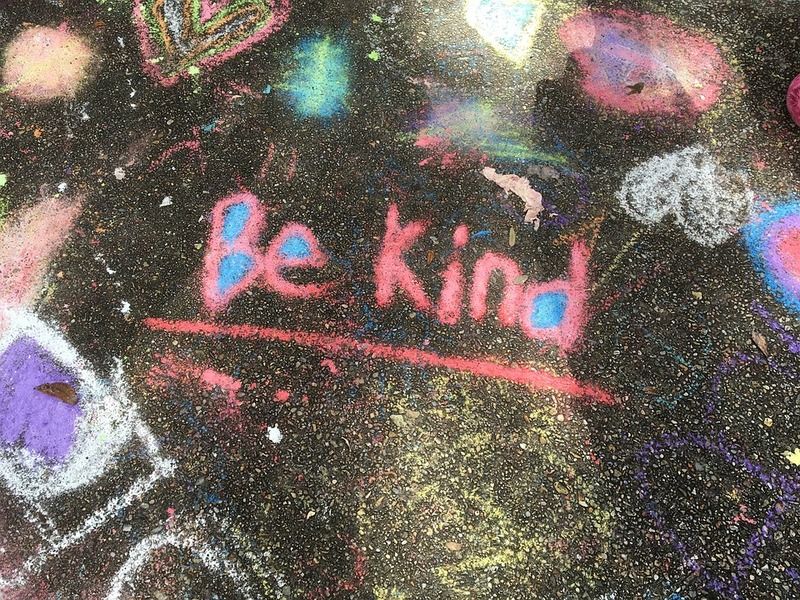 Is the Four Minute Kindness Challenge as simple as it sounds? Absolutely! The call to action is simply finding a person and, in less than four minutes, providing one kind act that will benefit that person. Looking for some ideas to get started? Looking for an ongoing act of kindness that matches a cause you would like to support? Try visiting DoSomething.org for resources that can help match your interests to a group that needs support. May (a specific person) be free from physical suffering. May he/she be free from mental suffering and addiction May he/she be free from conflict. Let us know your unique acts of kindness and we will publish the results.